Pack the 28th (Thu) with family-friendly diversions at Linnanmaki Amusement Park. There's still lots to do: learn about all things military at Sea Fortress Suomenlinna, contemplate in the serene atmosphere at Uspenskin Cathedral (Uspenskin Katedraali), take in the architecture and atmosphere at Helsinki Cathedral, and browse the exhibits of Seurasaari Island and Open-Air Museum. To see traveler tips, maps, where to stay, and tourist information, refer to the Helsinki day trip planner. Johannesburg, South Africa to Helsinki is an approximately 18-hour combination of train and flight. You can also do a combination of train and flight. Plan for much colder temperatures traveling from Johannesburg in February, with highs in Helsinki at 0°C and lows at -3°C. Wrap up your sightseeing on the 1st (Fri) early enough to take a train to Tampere. Start off your visit on the 2nd (Sat): pause for some serene contemplation at Finlayson Church, contemplate in the serene atmosphere at Tampere Cathedral, examine the collection at Vapriikin Museokeskus, then get engrossed in the history at Emil Aaltosen Museo, and finally enjoy breathtaking views from Pyynikki Park and Observation Tower. 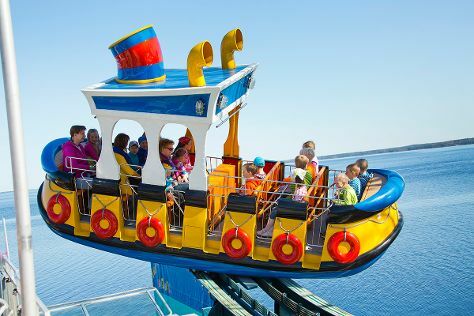 On your second day here, see the sky in a new way at Sarkanniemi Theme Park. For traveler tips, photos, where to stay, and more tourist information, read our Tampere online trip planner . Traveling by train from Helsinki to Tampere takes 2 hours. Alternatively, you can drive; or fly. March in Tampere sees daily highs of 3°C and lows of -7°C at night. Finish your sightseeing early on the 3rd (Sun) so you can take a train to Turku. 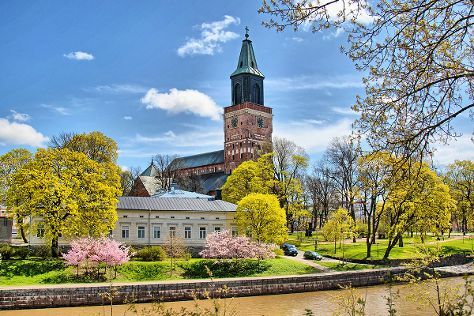 Kick off your visit on the 4th (Mon): get lost in a book at Turku City Library, then take in the architecture and atmosphere at Archangel Michael's church, then explore the ancient world of Aboa Vetus & Ars Nova, and finally contemplate the long history of Turku Cathedral. For where to stay, photos, maps, and other tourist information, refer to the Turku day trip planning app . You can take a train from Tampere to Turku in 2 hours. Other options are to drive; or do a combination of train and flight. March in Turku sees daily highs of 3°C and lows of -5°C at night. Wrap up your sightseeing on the 4th (Mon) early enough to travel to Levi. Start off your visit on the 5th (Tue): glide through natural beauty at Levi Ski Resort. On your second day here, don't miss a visit to LUVATTUMAA - Levi Ice Gallery, see exotic creatures in open habitats at a safari tour, and then admire all the interesting features of Ice Karting Levi. To find more things to do, photos, ratings, and other tourist information, you can read our Levi travel route builder website . You can do a combination of flight and bus from Turku to Levi in 4.5 hours. Alternatively, you can do a combination of train, flight, and bus; or drive. Traveling from Turku in March, expect Levi to be a bit cooler, temps between 0°C and -10°C. Finish your sightseeing early on the 6th (Wed) to allow enough time to drive to Rovaniemi. Kick off your visit on the 7th (Thu): stop by Your Piece Of Finland, then see exotic creatures in open habitats at a safari tour, and then get in on the family fun at Santa Claus Village. Get ready for a full day of sightseeing on the next day: have fun at Snowman World Igloo Hotel, have fun at Santa Claus Office, snap pictures at Lumberjack's Candle Bridge, then take an in-depth tour of Arktikum, and finally don't miss a visit to Lordi's Square. To find ratings, where to stay, maps, and tourist information, read our Rovaniemi road trip planning app . Drive from Levi to Rovaniemi in 2.5 hours. Alternatively, you can take a bus. In March, daily temperatures in Rovaniemi can reach -1°C, while at night they dip to -9°C. Wrap up your sightseeing on the 8th (Fri) to allow time to travel back home.